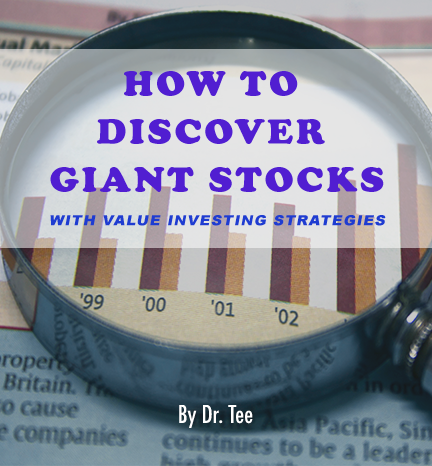 In this value investing course, Dr Tee will teach the powerful methods step by step, how to form a dream team stock portfolio with understanding of 3 financial statements and 11 critical fundamental criteria with practical applications in global stock screening – all in just 2 hours over 9 learning modules! 1) Beginners and intermediate learners who wish to form a dream team stock portfolio which is fundamentally strong in a systematic way step by step. 2) Stock investors are interested to learn what stocks to buy for medium term and long term investing, aiming both for incomes (collecting dividends with REITS and non-REITs) and capital gains (appreciation of share prices). 3) Stock traders who are want to enhance the probability of success in short term trading with selection of stocks for momentum trading. Dr Tee Tong Yan holds a PhD specialized in computational simulation. He possesses 20 years of trading/investing experience with in-depth knowledge in stocks and various major investment markets. He was a corporate Vice President, now the founder of a consulting firm. He has achieved financial freedom, spending most of his free time in life mission to educate the public towards the right path of investing. Dr Tee is the founder of www.ein55.com, the investing blog with applications of Ein55 Styles of investing, sharing his experience extensively with over 800 investment articles, conducting over 200 trading/investing seminars using FA, TA and PA methods with unique Ein55 Optimism Strategy. He is a well sought after speaker in major trading firms and various investing seminars. Dr Tee has trained over 20,000 students (4hr stock investment course) and over 2700 graduates (5-day course). Get the full, life-time access to the online course and acquire Dr. Tee as a mentor with 75% OFF at only $25 today! Over 70 people have bought this online course and acquired Dr. Tee as a mentor during its soft launch over the last 2 weeks!